We’ve all heard the term “perception is reality”, and when it comes to your company image this is 100% true. Entreprenuer.com defines company image as “the perception people have of your business when they hear your company name. A business’s image is composed of an infinite variety of facts, events, personal histories, advertising and goals that work together to make an impression on the public”. That may sound like a lot of variables. Well, it is. And according to the PR specialists here at Debra Lopez Public Relations, it only takes dropping the ball on one of them to damage the public’s perception of your business. 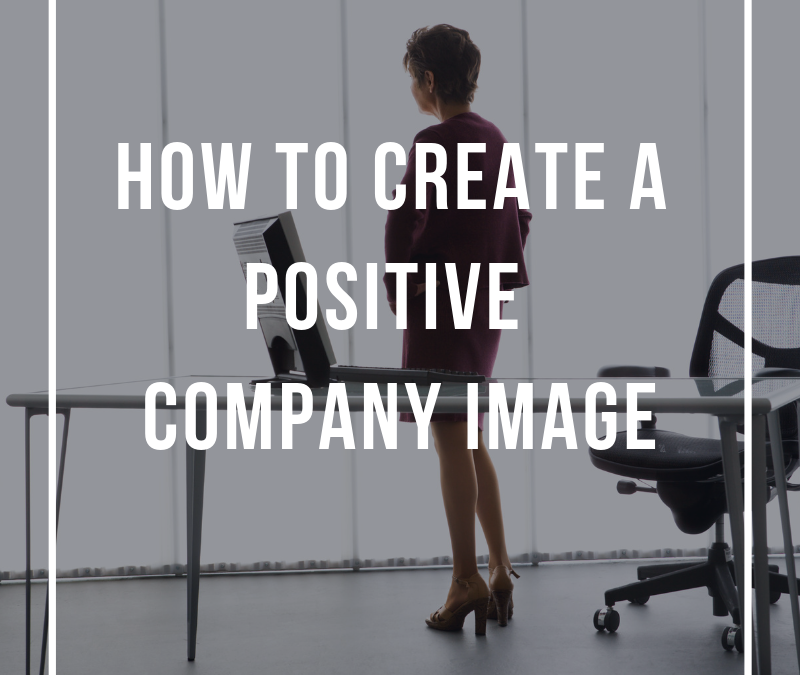 We’ve compiled a list of how to create a positive company image – and keep it! Build Relationships. Building business relationships can have unlimited impact on your business – from general networking connections to vendor relations to building a rapport with your clients. As a business owner or professional, every person you come in contact with could be a potential stepping stone in growing your business. Therefore, each contact should be treated with respect and integrity. Positive interactions lead to credibility and credibility leads to a positive company image. Keep up with Technology. In the era of smartphones, online shopping, and an influx of social media and review sites, it’s imperative that your brand can be found. Google alone receives 63,000 searches per second. By allowing your business to be found on multiple platforms, such as your website and social media accounts, you show consumers you are reliable and well-founded. These multi-channel outlets also provide instant communication allowing you to keep customers satisfied. Similarly, they help you quickly manage any negative experience they made have had with your business. Invest in Professional Marketing. First impressions are lasting impressions. If your logo, business cards, and other marketing material show professionalism, potential clients are more likely to take you seriously. The quality of your brand presentation reflects the quality of your product or service. Marketing professionals also have a targeted insight to specific demographics and industries that will allow them to present your company in the best light – and give you a much larger return on your investment. Give Back. According to a recent survey, more than 90% of consumers are more likely to trust and be loyal to socially responsible businesses. Reaching local customers through community events helps you build a reputable reputation in the area. Consumers prefer to purchase products or use the services of socially responsible companies. This can be done in the form of volunteering, or hosting or sponsoring a public event. Giving back not only creates a positive company image from the outside, it increases employee morale. It is never too late to implement these strategies. Whether you are a new startup or a long-standing family owned business the time is now. If you have questions on where to begin, are lost midway in the process or you are just not seeing the image you’re trying to show, contact a professional public relations or reputation management firm.